Q. How can I view my payment activity? From the Payments tab, go to the section Payment Activity as shown below. In Process Payments shows the current status of your payment. 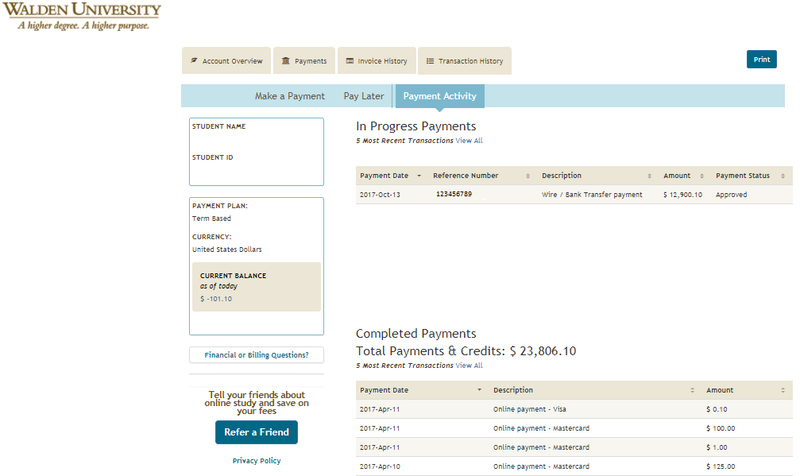 Completed Payments shows all payments or credits which have been applied to your student account.